Despite the bad rap that salt has gotten over the years, adequate salt intake is absolutely essential to your health. The important part is which kind of salt you are consuming. Continue reading to learn the benefits of choosing your salt wisely. It is an easy change that you can make today! Sea Salt is not exactly the best alternative. Lakes and Oceans are filled with toxic chemicals due to medications and other toxic wastes getting into the water systems. Mercury, PCBs (Polychlorinated Biphenyls), oil spills, electrical equipment such as coolants, lubricants, hydraulic fluid, and old fluorescent lights are among the worst of culprits. Another factor that raises concern is that sea salt is refined. Just as in table salts, the natural essential trace minerals are destroyed. Pink Salt to the Rescue! This article is to raise awareness that not all salt is harmful. But the kind of salt you consume is important. If you are consuming pink salt, you are building health. Pink salt originates from the Himalayan Mountains, Hawaii, Peru, Australia, Utah, and Poland. This salt is full of active essential trace minerals and Iron oxide, which give it its beautiful color. Pink salt is 85% sodium chloride and 15% trace minerals. 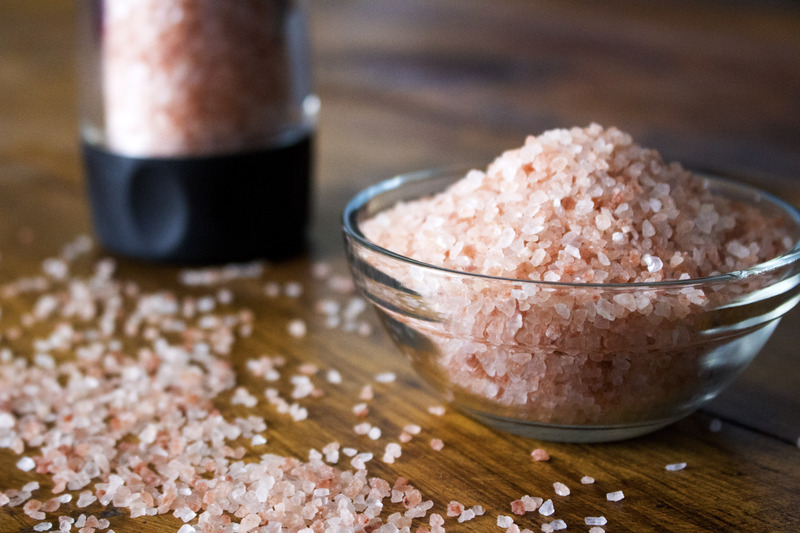 Pink salt is an anti-histamine, meaning it is naturally anti-inflammatory. It can aid as an asthma and allergy remedy. Along with plenty of water, pink salt can unplug thick mucus secretions in the lungs and nose. It is also microbial. It draws out toxins, bacteria, viruses, and yeast from cells and tissues. This leads to improved immune health and overall detoxification. Because tissues can store high amounts of salt, the minerals can be held until needed. They will boost the immune response so that you will have less infections. Don’t be afraid of sodium! Contrary to popular belief, sodium has been shown to decrease the risk of heart disease, which often times is caused by chronic infections. A 2014 Vanderbilt study demonstrated that low sodium intake increased the risk of heart disease, while higher sodium intake lowered the risk of heart disease. Study author Jonathan Jantsch, a microbiologist at Universitätsklinikum Regensburg and Universität Regensburg says, "Up to now, salt has been regarded as a detrimental dietary factor; it is clearly known to be detrimental for cardiovascular diseases, and recent studies have implicated a role in worsening autoimmune diseases. Our current study challenges this one-sided view and suggests that increasing salt accumulation at the site of infections might be an ancient strategy to ward off infections, long before antibiotics were invented." Now is the time to make the switch to pink salt. Pick up yours from Trader Joe’s, Whole Foods, Costco, or other grocers. If you go out to eat, ask to hold the salt, and add your own. Pink salt is an easy substitute, one that has many health benefits!